The opening of Cornfed’s Lucky Season Seven is rapidly approaching and that means celebrating those who have helped us get here. Our team wouldn’t be where we are without our excellent coaching staff. 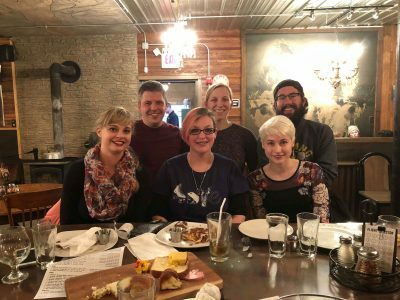 This season Cornfed is lucky to have a few new coaches and we’ve had a great time getting to know them. 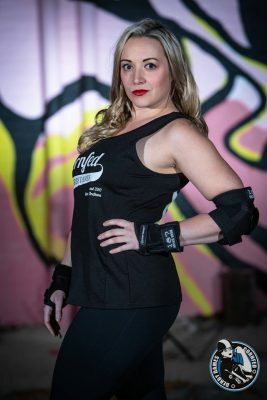 I (Ziggy Starthrust) had the opportunity to talk with one of the Muncie Missfits’ new coaches, Emily Daly, about her experiences. I’ve personally had a wonderful time skating under Emily’s guidance so far. 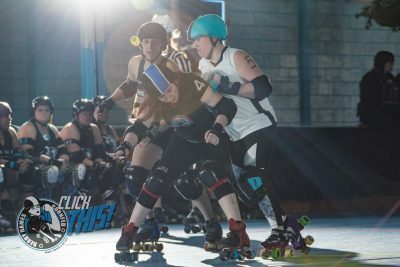 Her previous experience as a skater gives her excellent insight on the ins and outs of the sport and she isn’t afraid to take charge as a coach. Read on to learn more about her and what she has to say about derby. 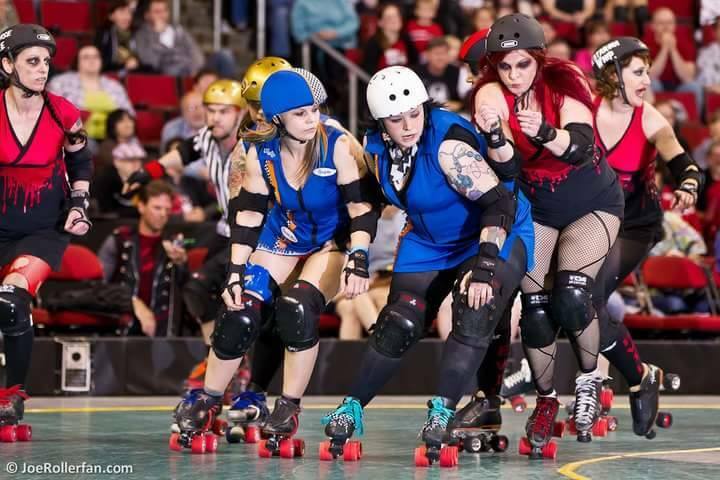 How long have you been involved with roller derby and what drew you to the sport? I grew up going to Gibson’s as a kid for skating parties, so I’ve always enjoyed being on eight wheels. 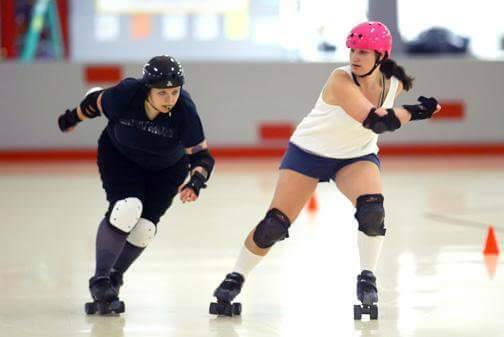 I was living in Evansville, IN when Demolition City Roller Derby began there 10 years ago. I attended their first meeting/practice and I was hooked. So you played derby for a while before becoming a coach? Oh yeah. 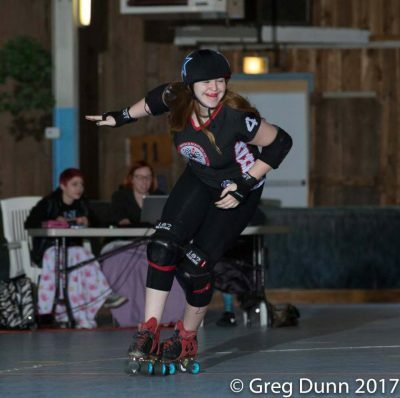 I played for Demolition City for roughly four years, then I transferred to the Rat City Rollergirls in Seattle, Washington, where I skated for 3 years. I retired from derby when I had my daughter, Teagan. What made you decide to give coaching a shot? I never really considered it as an option until Cosmo reached out to me and said Cornfed was looking for a new coach. So I applied and I am so thrilled I did! We’re happy to have you too! What has been the hardest part of transitioning from skater to coach? Definitely not skating! Ha. I know I can be heavy handed and make practices a little rough, but I can at least say I have been there… and I know it hurts. It’s hopefully beneficial pain. What is the most rewarding part of being a coach? It’s a hard choice between seeing someone improve with the right guidance and hearing skaters say they had a great practice. There is no other feeling like an invigorating workout. So what do you when you aren’t coaching? What’s a day in the life of Emily like? Ha! Busy. I’m a full time student aiming to apply to the surgical technology program in May, so this semester is full of difficult classes. I’m also a full time sole parent to my daughters (3 & 4). I would say I am in a constant state of ‘chicken with its head cut off’ frenzy. I wouldn’t have it any other way. Although, I do remember 10 years ago thinking I was ‘busy’ then! 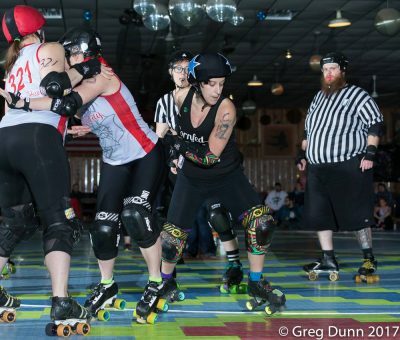 What is one piece of advice you wish someone would have given you when you first started your derby journey? Hit harder. Skate lower. Finish strong. Don’t save a single ounce of energy for the ‘what ifs’ of practice or a game. You never know when it’ll be your last. Come see Emily be one of the Missfits’ fearless leaders in our first bout of the season on February 26, at Gibson’s Skating Arena, 2610 S. Mock Ave. 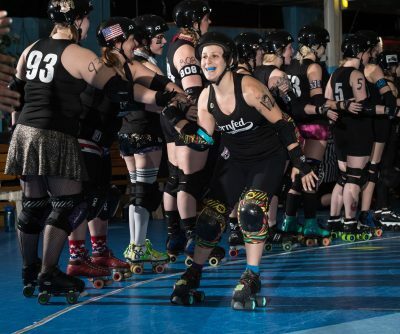 The CFDD All-Stars will take on the Derby City Rollergirls All-Stars (Louisville) and the Muncie Missfits will be playing the Derby City Rollergirls’ Bourbon Brawlers. 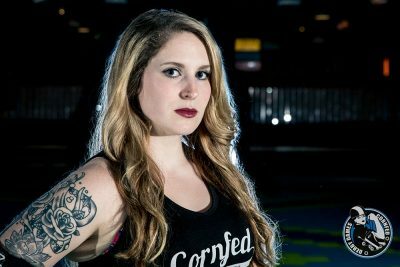 Muncie’s own Cornfed Derby Dames are gearing up for an action packed seventh season beginning in February. In 2016, Cornfed represented Muncie in many home and away games and tournaments throughout the Midwest. The team is now ranked 109 out of 320 international roller derby leagues in the Women’s Flat Track Derby Association (WFTDA). The addition of a B-Team, The Muncie Missfits, in 2016 has grown the league to over 30 active members. 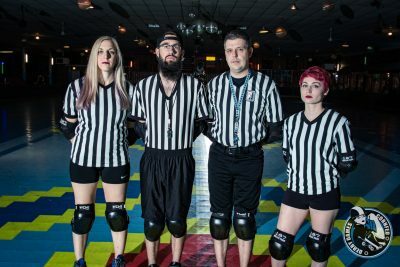 The first home bout of season seven will be Sunday, February 26 at Gibson’s Skating Arena, 2610 S. Mock Ave. Doors open at 1 p.m. with a 2 p.m. start time. 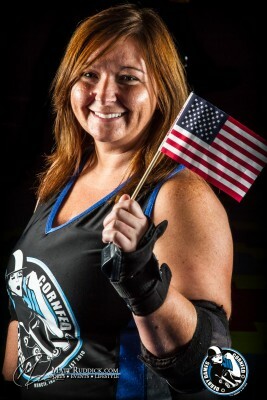 Cornfed will take on the Derby City Roller Girls of Louisville, KY in a double header versus their A & B teams. Admission is $12 per person at the door, $10 in advance through Brown Paper Tickets, or from any Cornfed Derby Dame. College students are just $8 with an ID and children ages 10 and younger are free with the purchase of an adult ticket (limit two children). Snacks and non-alcoholic beverages are available at the concession stand. A portion of all bout proceeds in 2017 will be donated to Muncie OUTreach. In addition to their four home games, Cornfed will travel to Dayton, OH on April 22, Indianapolis, IN on June 3, Cincinnati, OH on June 10, Cleveland, OH on June 24, and Quincy, IL on July 22. The Muncie Missfits will also participate in the “B-Cup Tournament” May 20 & 21 in Bloomington, IN. Due to the high costs of travel and lodging, the dames are accepting donations from fans online here. If you or your business are interested in sponsoring the league this season contact cfddmonies@gmail.com for more information. Click here to get your Season 7 passes! Puzzling over the perfect present to get someone? Look no further! 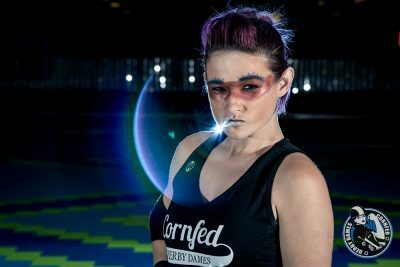 Cornfed Derby Dames Season 7 passes for 2017 are available now! 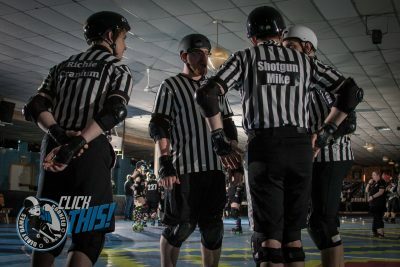 No need to put on pants and go battle the crowds, you can purchase an entire season of action-packed derby right from your couch. At $40, that’s four bouts of awesome derby action for only $10 per bout, bouts will be $12 at the door this season. This is a great way to learn about derby, support your favorite skater, and see some explosive hits. It’s the gift that keeps on giving! Passes are available now now through December 31, 2016! Do you love to coach? Do you love roller derby? 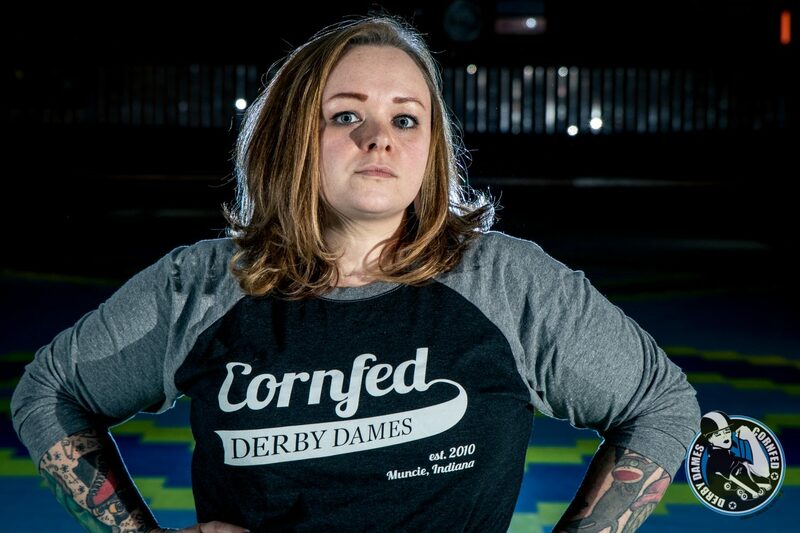 Do you love the Cornfed Derby Dames? 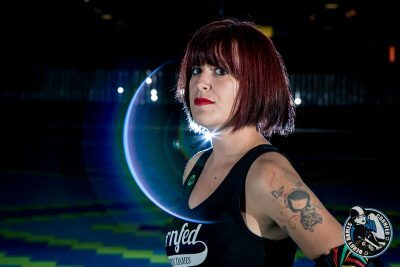 The Cornfed Derby Dames out of Muncie, IN are looking for a dedicated coach for our league! We are looking for someone who can lead the team to another successful season and push each athlete to the next level. To apply, submit a resume (with 3 references) and cover letter detailing your interest, skills, and experience by September 9, 2016 to cornfeddd@gmail.com. 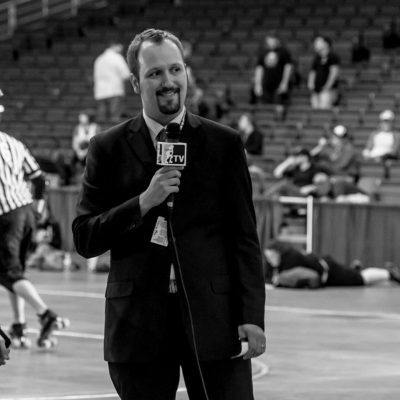 The League Head Coach is responsible for coaching roller derby athletes in game strategies and techniques to prepare them for athletic competition in compliance with the rules and regulations of the Women’s Flat Track Derby Association (WFTDA) and Cornfed Derby Dames. 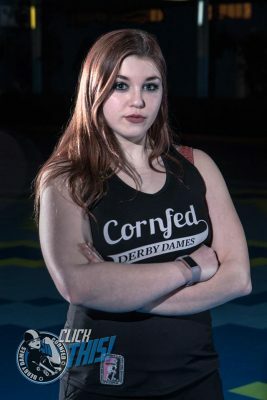 The Cornfed Derby Dames consists of both an A and B team. Our A team is currently ranked 114th in the WFTDA rankings. 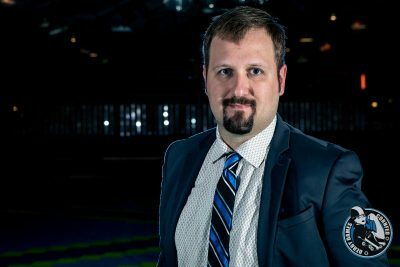 The League Head Coach is responsible for managing the coaching staff for the Cornfed Derby Dames and ensuring compliance with League training methods and strategies. Ability to lead and manage change in a positive and inclusive manner. Physical ability to participate in all facets of training and competition. Head coach is selected by league vote annually. Each term lasts 1 season.